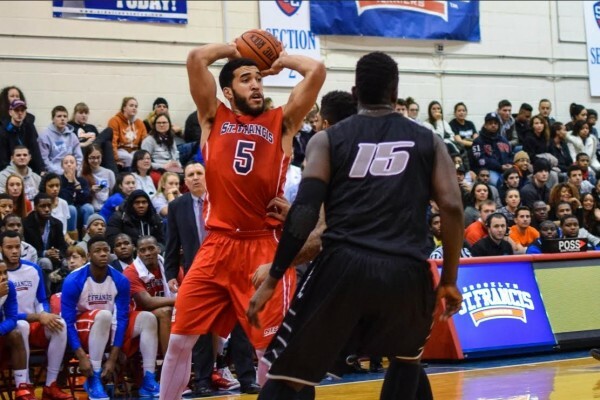 Jalen Cannon – St. Francis Brooklyn. The preseason-favorite Terriers are finally starting to separate from a crowded NEC pack, thanks in large part to Cannon, who is shaping up to be conference Player of the Year. On Thursday night, the senior poured in a career high 35 points on 13-of-19 shooting – including 3-of-3 from behind the arc – to go along with 13 rebounds in St. Francis’ 90-81 victory over Central Connecticut State. Two days later, Cannon logged another double-double – his 14th of the season – this time scoring 29 points and ripping down 11 rebounds in the Terriers’ 15-point win over Wagner. All told, the 6’6’’ forward shot nearly 68 percent from the field, accounted for over 40 percent of his team’s scoring and, on Saturday, surpassed Quinnipiac great Justin Rutty as the NEC’s all-time leading rebounder. Head coach Glenn Braica talked about his development afterward: “Now he can step on the floor and make perimeter shots, and he can handle the ball some. He’s become a very good player.” Considering the season he’s having, ‘good’ might be selling Cannon quite a bit short. Jim Les – UC Davis. Sometimes the excellence of an individual player can overshadow a really good coaching job, through no fault of either one. Take UC Davis, for example: In the midst of its best season since joining the Division I ranks, much of the success has been attributed to senior guard Corey Hawkins, the Big West’s leading scoring (21.3 PPG), three-point shooter (52.6% 3FG) and fourth-best assist man (3.5 APG). And make no mistake about it – he’s been superb. But considering how the Aggies responded last week without Hawkins, who was forced to miss two games with a leg injury, it’s time head coach Jim Les garnered some serious praise as well. Not only did the Aggies go 2-0 without their best player, they walloped conference co-leader UC Irvine in their own gym, 75-56, snapping the Anteaters’ six-game winning streak. Two nights later at Cal State Northridge, the story was much the same; Les’ group shot 50 percent from behind the arc, played strong defense and beat the Matadors by 13 points. 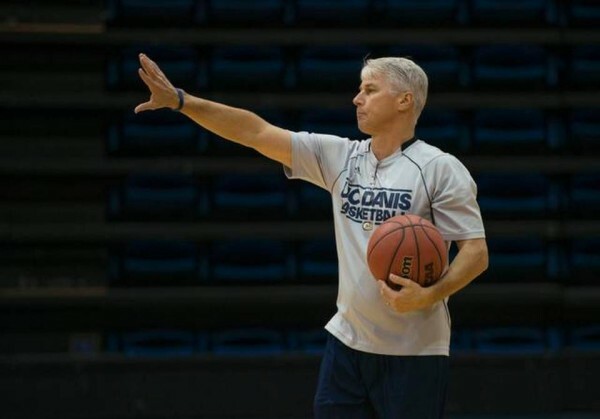 Long term, UC Davis will certainly need the eventual conference Player of the Year if it intends on keeping pace in the Big West – especially come tournament time – but Les’ ability to keep the Aggies atop the league standings without Hawkins in the lineup deserves its own applause. Rice over Western Kentucky, 72-68. As wild as Conference USA play has been in recent weeks (e.g., North Texas beating Louisiana Tech on January 22), it’s doubtful anyone saw this result coming. The first-place Hilltoppers entered the game 9-1 in conference play and undefeated in Diddle Arena this calendar year – their last home loss coming on December 20 against Louisville. KenPom gave Western Kentucky a 91.7 percent chance of beating the lowly Owls, a team which had lost four straight games and sat at 6-15 overall. But sometimes teams get hot, and sometimes huge early deficits are too huge to overcome, and that’s exactly what happened in Bowling Green on Saturday. Rice shot 68 percent in the first half, put together a 22-5 run and took a 17-point lead into the locker room. 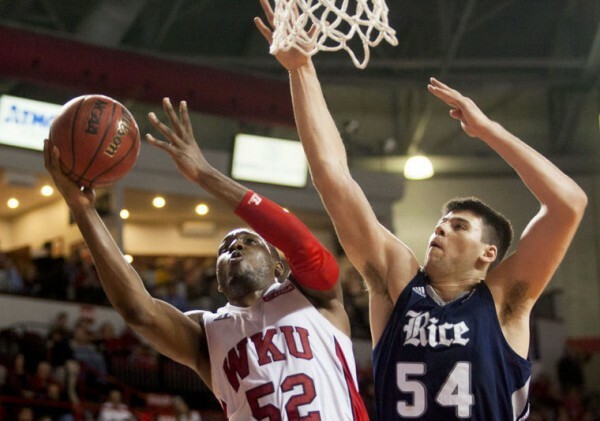 Western Kentucky came back in the second half (even briefly jumping ahead late), but Rice’s ability to knock down free throws (15-of-17 FT) – particularly Seth Gearhart, who scored 31 points and shot 10-of-10 from the stripe – proved too much for the Hilltoppers. “I don’t know if I’ve ever been more proud of a team because of their fight than I am of this team tonight,” first year coach Mike Rhodes said after the game. That ‘fight’ (wherever it came from) has thrown a wrench into the C-USA standings: three teams are now tied at the top, with two others not far behind. John Brown – High Point. The fact that this award was even debatable is a testament to just how hard Iona’s Kelvin Amayo threw down on Sunday [see below]. Still, Brown – insane athlete that he is – takes the cake for this Dunk of the Year candidate. Marcus Posley – St. Bonaventure. 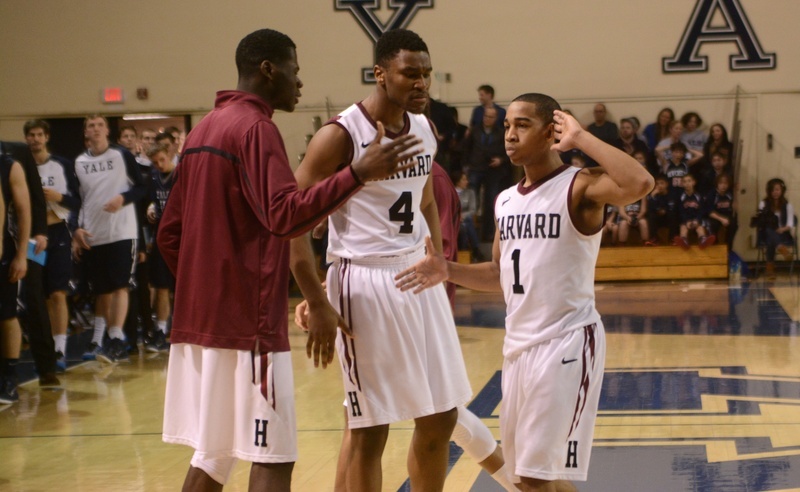 On Wednesday, Posley beat Davidson on a coast-to-coast, Tyus Edney-like buzzer-beater. On Saturday, he took down VCU in similar fashion. This guy is clutch. This entry was posted on Tuesday, February 10th, 2015 at 10:01 am by Tommy Lemoine	and is filed under microsites, other 26. Tagged: big west, brown, conference usa, corey hawkins, davidson, feature, harvard, high point, ivy league, Jalen Cannon, jim les, john brown, Marcus Posley, nec, rice, st bonaventure, st. francis (ny), tommy amaker, uc davis, uc-irvine, vcu, wesley saunders, western kentucky, yale. You can follow any responses to this entry through the RSS 2.0 feed. You can leave a response, or trackback from your own site.